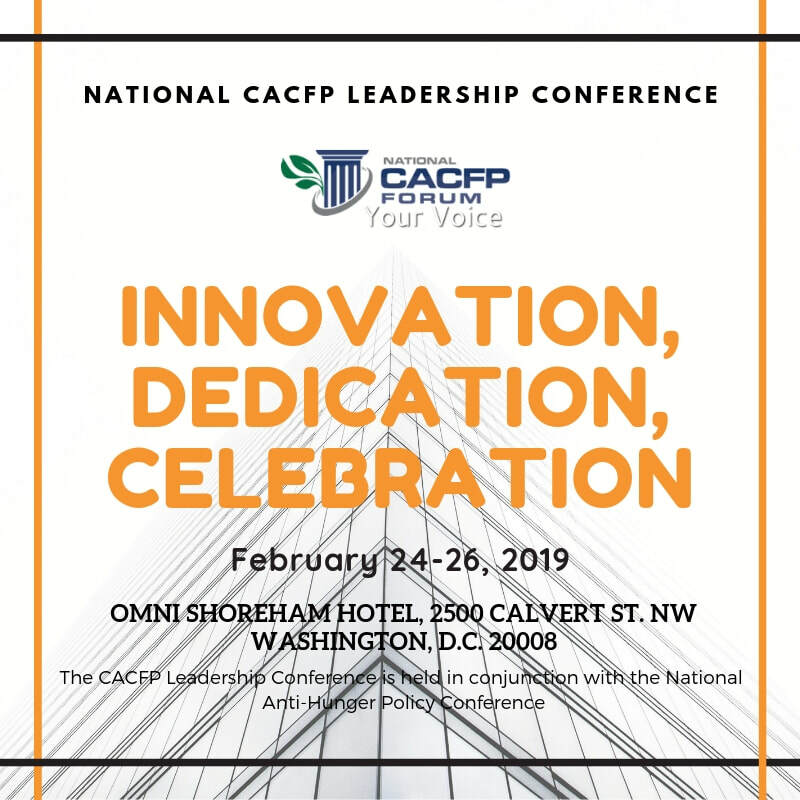 ​The National CACFP Forum serves as the national advocacy organization that protects viability, perfects policy, and promotes leadership for the ​Child and Adult Care Food Program. ​Over 4 million children served through CACFP. The Forum is currently seeking dedicated individuals to serve on our Board of Directors, read more about this search here. ​Join us and support the national advocacy work that protects viability, perfects policy, and promotes leadership for the ​Child and Adult Care Food Program all year long. Take Action and support your National CACFP Forum become a member today. Join right here, right now! ​Here at USDA State Agency Contact List. Geri Henchy, Director of Nutrition Policy and Early Childhood Programs, Food Research and Action Center and Previous Board Member.